How a community came together. The partnership began when the Big Carrot approached David Walsh for help in purchasing a car dealership site located across from their previous store. Members of the Big Carrot were introduced to David Walsh by Marty Donkervoort who had met him in 1984 at a CED workshop sponsored by the Jesuit Centre. 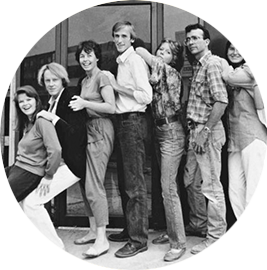 Marty was a partner in the Workers Ownership Development Foundation that was one of the first office tenants at the Carrot. In May, 1986, an option to purchase the property was obtained, and the property was purchased two months later. As the development proceeded a decision was made to spend additional monies on the building since the market for retail space indicated a demand for higher quality stores with correspondingly higher rents than originally anticipated. The development was completed in September, 1987. In undertaking the new development, the members of the Big Carrot had great difficulty borrowing money since banks and credit unions are reluctant to lend to a worker cooperative, especially one with few tangible assets. The original store had been financed on a shoestring budget with members mortgaging their houses. The final cost of Carrot Common, including financing charges during construction, was approximately $6 million. The Big Carrot contributed $100,000 as its share of the financing of the development, and spent an additional $500,000 on its own store improvements. It raised part of this capital by selling to local investors $264,000 of Class A non-voting, preferred shares in units of $10,000, and by arranging a loan of $250,000 with the Federal Business Development Bank which wanted everything but the kitchen sink for collateral. As well, its suppliers extended favourable credit for about $150,000 to facilitate the financing of the expanded inventory. In July, 1988, when the building was fully leased, a new first mortgage of $5.4 million was arranged to pay off much of the construction financing. 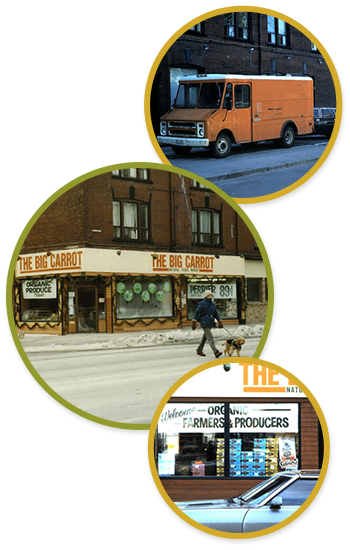 David Walsh was attracted as an investor by the community spirit of the Big Carrot store which he realized would make it an excellent anchor for a neighbourhood shopping centre. He was also interested in ways the project might support other community groups or causes. The partners set out to develop the concept with the idea that David Walsh would help raise the construction financing and act as developer, while at the same time consulting closely with members of the Big Carrot on how the project would proceed. The form of the partnership was not defined entirely at the beginning, but, rather, it evolved over time as the project came together. For example, Carrot Cache was not formed until two years after the project began and its mandate evolved for another two years. Mary Lou Morgan was the first president of Carrot Common Corporation and Carrot Cache. She left the Big Carrot in 1990 to work on other cooperative and community projects, but remained active with Carrot Cache and served as Executive Director for 10 years.